Posted on Thursday, September 20th, 2018 at 4:41 pm. Maggie, born in Poland, grew up on her family farm with her four siblings until her parents decided to move to Florida in 2006. 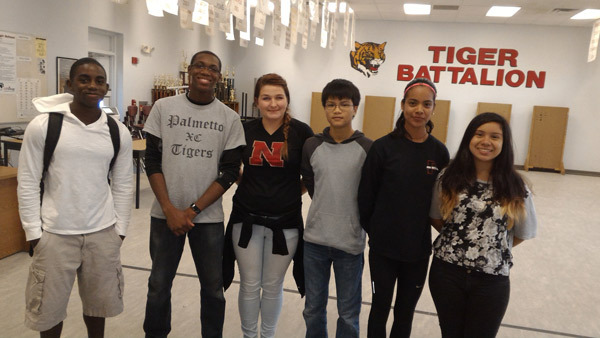 Since then, she has excelled in learning a second language and completed honours and AP/college-level classes, graduating in the top 10 percent of her class. 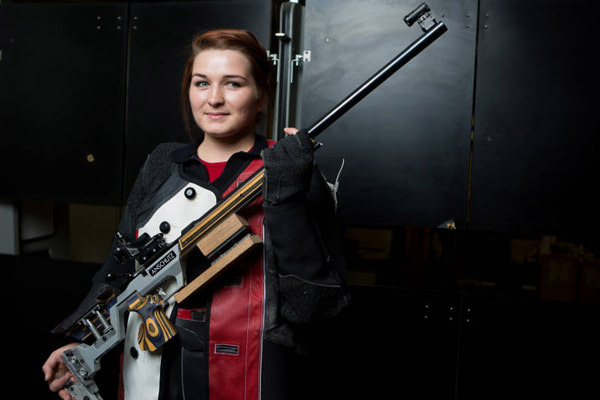 Early in her move to the United States, she joined a junior rifle program where fell in love with competitive shooting and earning herself a Collegiate Scholarship. Maggie competed locally and nationally ranking in the top 18 at the Junior Olympic Championships catching the eyes of recruiting scouts. She was offered several university scholarships eventually choosing University of Nebraska where she succeded in becoming team captain for her last two years and led her team to place 3rd at a national championship in her junior year. At first her professional goal was to become a physical therapist but switched to advertising since she loved the creativity involved in campaigns. Maggie graduated as a double major in Advertising & Public Relations and in French. In her free time she volunteers at elementary schools as a mentor, coaches local teams and spends time with her family in Florida. Maggie and her local junior shooting team. Maggie enjoys exploring new places, having been to most of North America is starting her journey abroad with beautiful New Zealand, planning on hiking, rock climbing, sky diving and any other extreme sport she can find.